Howard Hill was born in 1943 in El Paso, Texas. He entered the U.S. Air Force Academy in 1961 and was commissioned a 2d Lt in the Air Force upon graduation on June 9, 1965. Hill next completed Undergraduate Pilot Training at Laughlin AFB, Texas, in October 1966, and then F-4D Phantom II combat crew training in December 1966. He then served with the 40th Tactical Fighter Squadron at Eglin AFB, Florida, until May 1967, when he began flying combat missions in Southeast Asia with the 497th Tactical Fighter Squadron at Ubon Royal Thai AFB, Thailand. Hill then joined the 555th Tactical Fighter Squadron, also at Ubon, where he served from June 1967 until he was forced to eject over North Vietnam on December 16, 1967. After spending 1,915 days in captivity, Capt Hill was released during Operation Homecoming on March 14, 1973. He was briefly hospitalized to recover from his injuries, and then flew as a transport pilot at Andrews AFB, Maryland, from November 1973 to July 1976. Hill then attended Air Command and Staff College at Maxwell AFB, Alabama, where he graduated in August 1977. From there he served with Military Airlift Command at Scott AFB, Illinois, from August 1977 to July 1980. Hill served with the 20th Military Airlift Squadron at Charleston AFB, South Carolina, from July 1980 to September 1982, and then on the staff of the 437th Military Airlift Wing, also at Charleston, until June 1984. From June 1984 to May 1985, he served at Headquarters USAF in the Pentagon, and then as the Principal Advisor to the Secretary of Defense for POW/MIA Affiars from June 1985 to April 1988. Col Hill's final assignment was with the Air Force Element at the Defense Intelligence Agency in Washington, D.C., where he served from April 1988 until his retirement from the Air Force on June 30, 1989. 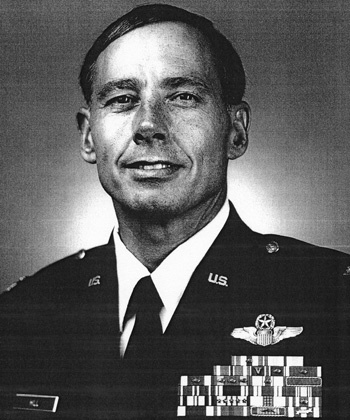 First Lieutenant Howard J. Hill distinguished himself by gallantry in connection with military operations against an opposing armed force as a F-4D Pilot in Southeast Asia on 24 October 1967. On that date, Lieutenant Hill led a two-flight attack against a heavily defended airfield. While evading intense antiaircraft fire, surface-to-air missiles, and threats from hostile aircraft, Lieutenant Hill successfully executed this highly important mission. 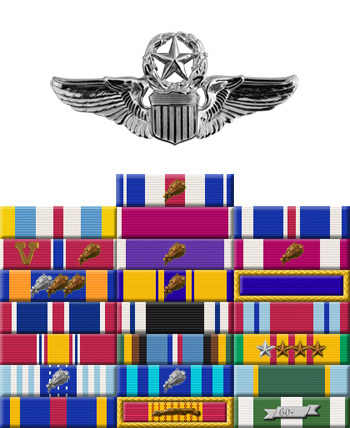 By his gallantry and devotion to duty, Lieutenant Hill has reflected great credit upon himself and the United States Air Force.